The camera's shutter speed is set automatically by "electronic eye" (CdS? ), an aperture priority program and a "lighter-darker" setting dial between 10 sec. and 1/1200 sec. Its lens is a 3 element glass lens (114mm f8.8). 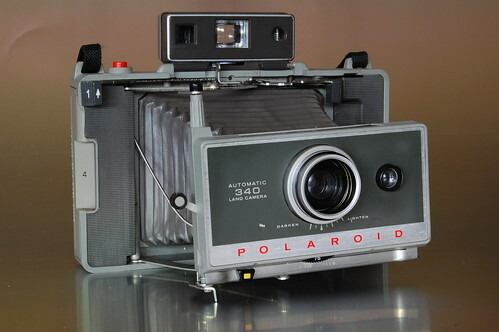 Polaroid 340 in Jim's Polaroid collection. This page was last edited on 1 November 2017, at 11:41.